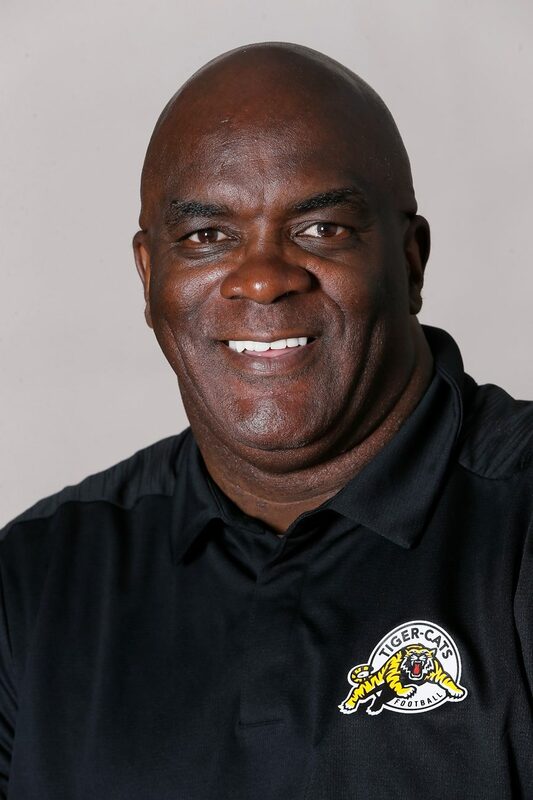 Robert Lyles was named Linebackers Coach of the Tiger-Cats on April 23, 2018. In Lyles’ first season with the club, he oversaw career seasons from linebackers Larry Dean and Don Unamba. Dean became the fourth player in Tiger-Cats history to record 100 defensive tackle en route to being named the club’s most outstanding defensive player, an East Division All-Star and the East Division’s most outstanding defensive player, while Unamba converted from defensive back to SAM linebacker in training camp and went on to be named an East Division and CFL All-Star. Lyles brings over 20 years of coaching experience to the Tiger-Cats at both the professional and collegiate ranks, most recently serving as Associate Head Coach for the Defence and Outside Linebackers Coach at the University of the Incarnate Word in 2017. Lyles, who spent three seasons with the Cardinals in total, also served as the team’s Linebackers Coach from 2015-16. In 2016, his linebackers helped UIW to 64 tackles for loss resulting in 250 yards, 14 sacks, 12 forced fumbles and seven blocked kicks. Despite a 3-8 record, the Cardinal defense was eighth in the Southland Conference with 19 sacks. Linebacker Josh Zellars earned All-Conference honors following an 87-tackle performance and graduated as the program’s all-time leading tackler. In his first season with the Cardinals, Lyles mentored one of the best football players in the program’s history, Myke Tavarres. Tavarres earned three different All-America honors and was named the Southland Conference Newcomer of the Year while setting school records for tackles, tackles for loss and sacks in a season. The former National Football League linebacker also served as Inside Linebackers Coach at Jackson State University (2014) and held numerous defensive coaching roles at the United States Military Academy (2007-13). He worked with a number of Army’s linebacker positions, including the middle linebackers in 2013. After three years of coaching the Black Knights’ whip linebackers, Lyles shifted responsibilities to the rover position in 2012. His first two seasons were spent teaming up with Tony Coaxum in leading the Black Knights’ linebacking unit. In 2007, Lyles mentored the Black Knights’ leading tackler, Andrew Rodriguez. Rodriguez was one of Army’s top playmakers, also racking up 1.5 tackles for loss, two interceptions, three pass breakups, two fumble recoveries and two forced fumbles that season. Lyles began his coaching career in 1995, spending a year with the Arena Football League’s Memphis Pharaohs as special teams coordinator and linebackers coach. He was a defensive coordinator with the Portland Forest Dragons from 1996-98 and went on to fill the same role for the Los Angeles Avengers one year later. The defensive-minded Lyles was named the Avengers’ interim head coach four games into the 2001 season. He was named head coach of the AFL’s Georgia Force the following year and shouldered those duties for the first five games of the 2002 campaign. He served as an assistant coach for one season at San Bernardino Valley College in 2003 prior to his final tour in the AFL as assistant head coach and defensive coordinator for the Grand Rapids Rampage. He remained with the Rampage for the 2004 and 2005 campaigns. In addition to substantial experience coaching professionally in the AFL, Lyles spent two seasons working under the NFL’s Minority Coach Fellowship Program and attended training camps with the Buffalo Bills (2003) and Tennessee Titans (2004). Current and former NFL head coaches such as Herm Edwards (New York Jets and Kansas City Chiefs) and Marvin Lewis (Cincinnati Bengals) have also taken part in the program in the past. A former standout linebacker at Texas Christian University, Lyles suited up in eight seasons in the NFL with the Houston Oilers (1984-89) and Atlanta Falcons (1990-91), playing under current Tiger-Cats Defensive Coordinator Jerry Glanville who was his head coach in both locations. He also crossed paths with Hamilton’s current Head Coach June Jones, who was Houston’s Quarterbacks Coach in 1987-88 and Atlanta’s Offensive Coordinator in 1991. Following his departure from the Falcons, Lyles continued his professional playing career in the AFL, spending a year with both the Tampa Bay Storm (1994) and Memphis Pharaohs (1995).